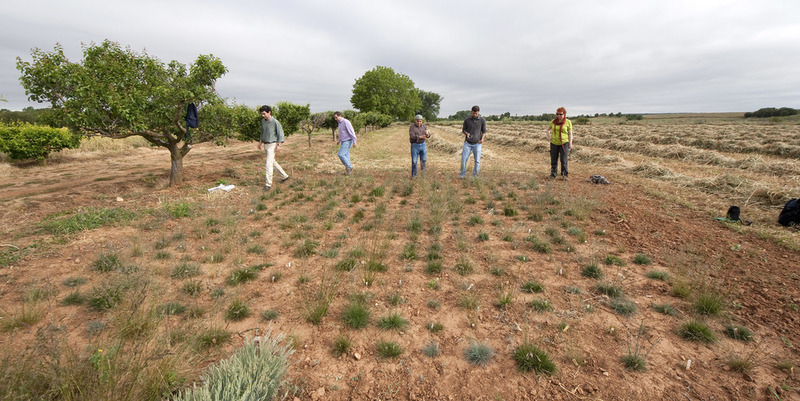 Cool season grasses cover significant acreage in temperate locations, providing forage for pastoral grazing systems and contributing to ecosystem services such as biodiversity and soil carbon sequestration. Many of these grasses are capable of forming symbiotic associations with fungal endophytes that can enhance the environmental stress tolerance of the host plant and confer anti-herbivore and -pathogen activity. Such symbiotic associations have been manipulated in agronomic and turf cool season grasses for ~20 years, by seed industries eager to capitalize on the natural ‘benefits’ of the symbiosis. While effects of these grass-endophyte associations on aboveground parameters (such as animal production, plant production, and plant and insect diversity) have been well-studied, much less work has been done to evaluate whether there are effects on belowground parameters. Recent studies have shown that for at least one grass species, tall fescue, fungal endophyte presence can stimulate soil carbon sequestration, and fungal endophyte strain can alter the flux of two important greenhouse gases, CO2 and N2O, from the soil to the atmosphere. To our knowledge, there has been no equivalent work exploring whether these types of endophyte effects are also observed in other important cool season grass species or in other locations. To fill this knowledge gap, we propose to quantify fungal endophyte symbiotic effects on greenhouse gas (GHG) emissions and soil carbon sequestration for three cool season grasses (meadow fescue, red fescue, and tall fescue) that are common in Europe and the United States. We will utilize existing projects located primarily in Finland, Spain, and the United States to achieve this objective. By exploring whether plant-microbe symbiotic interactions can promote environmental benefits, by lowering GHG emissions and increasing soil carbon sequestration, while simultaneously continuing to support agricultural production, our research may directly improve agricultural sustainability of temperate grasslands worldwide and help mitigate future additional changes to atmospheric GHG concentrations.